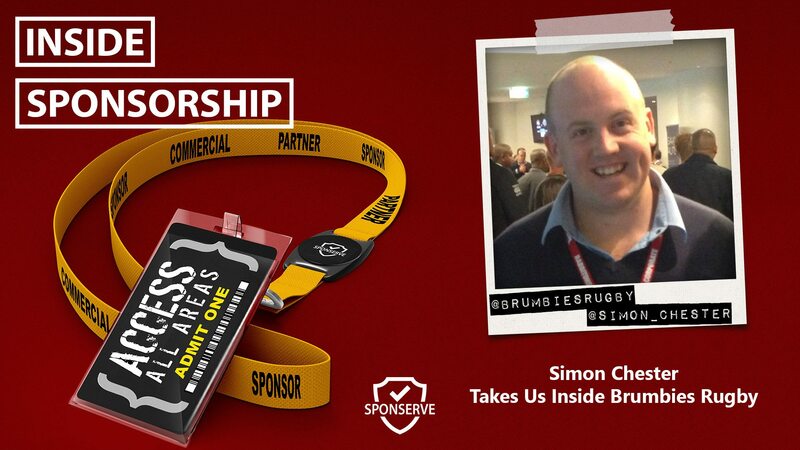 In this Inside Sponsorship episode, we speak to Simon Chester, General Manager – Commercial Operations at Brumbies Rugby. The ACT Brumbies were part of the first Super 12 tournament in 1996 as the third Australian provincial team. At the time, many predicted that the Brumbies, made up of so-called ‘rejects’ – players not wanted by the other two Australian teams – would perform poorly. However, the franchise set about creating a culture envied by many and, since then, they have enjoyed more success than all the other Australian teams combined, reaching six finals and winning two. Simon Chester has been at the Brumbies for five and a half years and has provided the organisation with stability and leadership to ensure that the Brumbies are well supported for on-field success including recently signing a new naming rights sponsor which now makes the Brumbies’ shirt the most valuable in Australian Rugby. If you wish to connect with Simon then you can do so at www.brumbies.com.au or on LinkedIn. Mark also joins us to talk about ways that brands can achieve sponsorship cut-through in crowded markets.